In recent years craft brewing has undergone quite the renaissance. Hundreds of new brewers, thousands of new beers and countless loyal craft beer drinkers. Behind the scenes, a second revolution is starting to take shape: The craft growers, cultivators and producers of craft beer ingredients. As part of a three-part series, I’m taking a closer look at a handful of these less-heralded players in the craft beer industry. To finish things up I’m taking a look at a budding malting company by the name of Barn Owl Malt. Normally when I’m setting out to write one of these articles, I spend a few days doing background research on the ingredient in question. For the previous articles this was fairly straightforward. First you find out who the big guys are using to get their ingredients, then you look into the handful of “big” craft guys. After that you look into the history of the ingredient and try to find as much out as you can about how it’s grown as an industry in Canada. As it turns out, this process didn’t work at all for malt, for a variety of reasons. For one thing, malting is big business. It is well established in Canada, but is also a surprisingly distributed industry with huge facilities operating all over the world. To be honest, I found this pretty daunting. Once the multinational conglomerates are involved it gets pretty tricky to figure out what’s going on in an industry. Luckily for me I happened across an excellent blog post on The Ripley Blog that pretty much covers everything I wanted to cover on the global industry. Heck, he even went and did a great write-up on how malting works for the craft industry. So, continuing to be honest here, I’m not going to write any more about this. If you’re interested, go read it over there. One thing I did learn while basically skipping out on all the research I normally do for an article is the craft malting industry in Ontario and Canada overall pretty much doesn’t exist. There are a handful of outfits in Quebec and a few more than that in the US who are trying to bring craft back to malting, but that’s about it. You pretty much never hear about or see malt in shops from anyone other than the big guys. 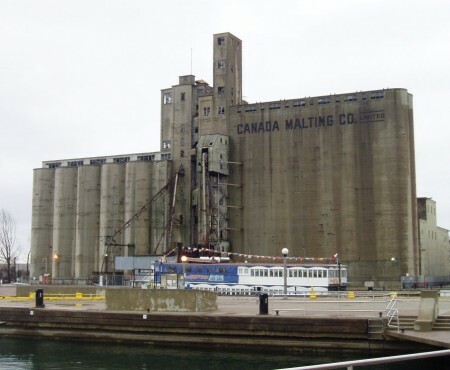 The closest thing to a local malting company I had heard of until I started working on this article was BSG Canada, formerly known as Gilbertson & Page. They’re based in Guelph and have been serving home and craft brewers since the 90s, but as near as I can tell they’re really more of a malt distributor than a producer, outside of their OIO line of adjuncts which I don’t consider to technically be malt. So when I heard that a real craft malt house was opening up outside of Belleville, I was pretty excited. Barn Owl is the result of a lot of hard work from husband and wife duo Devin and Leslie Huffman. After years of travelling and working all over Northern Canada, they decided to settle down on some land just outside of Belleville that belonged to Devin’s grandparent’s, but had been sitting idle for the last 15 years. They actually considered putting the land to use for quite a few things at first, ranging from hobby farm to starting a craft brewery. Looking into the brewery made them realize that craft malting was a largely untouched field in Ontario, which I think was an opportunity that Devin couldn’t help but leap at. We started looking at the supply chain and we realized that wait a minute, there’s no Ontario grains in this. Starting a brand new industry is an incredibly challenging endeavor, but for a guy like Devin that was part of the appeal. Building something from scratch, in this case not just his own malting system and facility but potentially an entire industry actually intrigued him and as it turns out Devin is a pretty uniquely skilled guy to undertake it. He’s got a background in forestry and plant biology, plus more experience in mechanical engineering, which he needed to build the malting facility by himself. 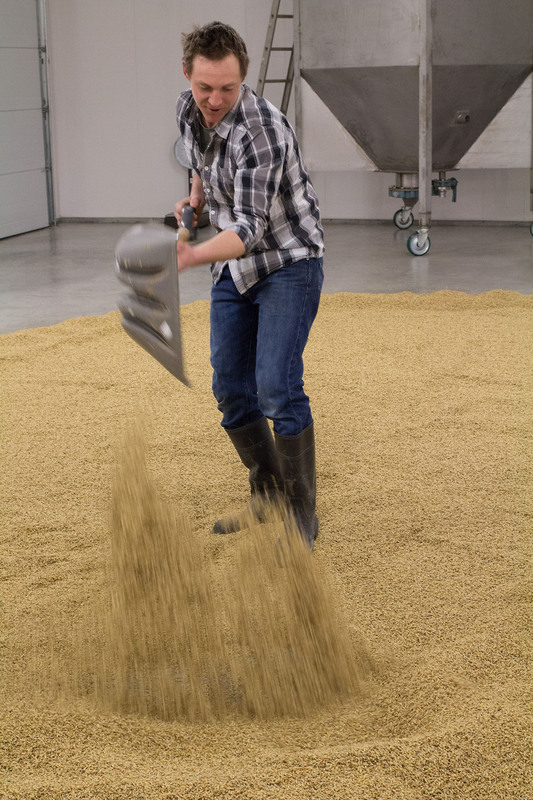 Beyond that he’s also a trained maltster, having spent time at the Canada Malting and Barley Technical Center. The first step was deciding what kind of maltster he wanted to be. The more common approach is to buy a pneumatic malting system, but that wasn’t something they thought made sense, at least not at the scale (Barn owl can handle about 5 tonnes of malt a week) they were thinking. Instead, Devin opted to build a floor malting system. Floor malting is much cheaper than pneumatic, but much more rustic. To get set up they had to read texts from the 1800s on malting processes since that’s the only place where the knowledge exists. Floor malting is also incredibly labour intensive. With a pneumatic system you can be productive and basically put in regular 9-to-5 hours, but with floor malting you sometimes have to be up at all hours doing hard work. To get a feel for what I’m talking about here, imagine working all day, then needing to get up at 3 in the morning and shoveling your driveway. Well, if your driveway has 5 tonnes of snow on it. I guess it’s more like shoveling every driveway on your street. So yeah, floor malting is rare. At first they looked into finding a space in Belleville, but that turned out to be difficult due to regulations and red tape. Plus, even with a pre-existing building they’d have to retrofit extensively, so they opted to build their own building instead. As Devin described it building was hard, but not that bad. The biggest obstacle was regulations. It’s hard to peg where in the building code a malt house lives, mostly because nobody has done it before so there’s no precedent. Originally they were classified as a distillery, which would have made the whole operation impossible. For a while they were looking like a grain elevator, which would have crushed them on insurance costs. After 11-12 months of negotiating with the government for permits they started construction in December of 2015. A few months later (I visited them in the summer) they were up and running. The overall process isn’t actually all that complicated, but as with so many manual processes the devil really is in the details. The floor in floor malting turns out to be nothing more than a polished concrete slab in a climate controlled building. The only real difference between it and any other warehouse floor is this floor needs to be kept clean like any other food preparation facility. 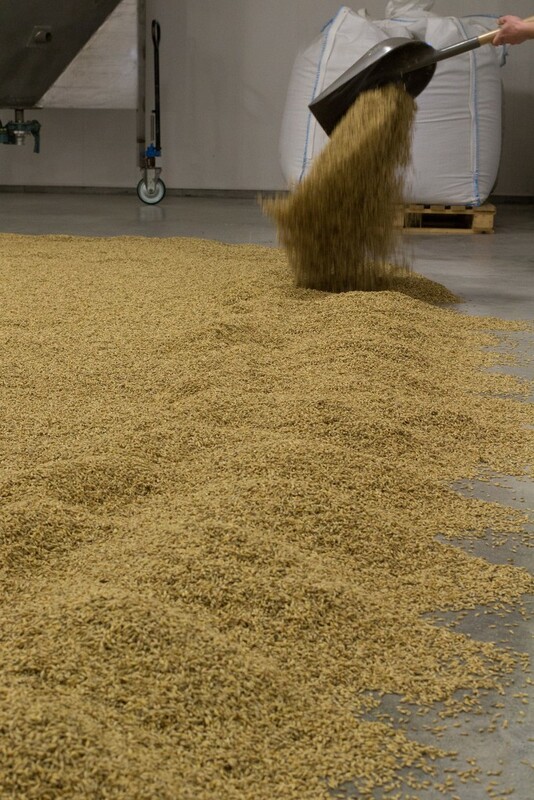 The first step in the process is steeping raw barley in a large tank until it hits a target moisture content. Then they drain the tank and spread the barley out on the floor wait for signs of germination, which is triggered by the steeping. The thing that happens during, or just before germination that we’re interested in is the conversion of the starches, which are bad food for yeast, that occur naturally in barley into sugars, which are great food for yeast. Floor Malting is pretty much what it sounds like. The tricky part of a floor malting system is all about heat management. When wet barley is germinating on the floor it gives off a lot of heat. If it gets too hot, you can end up with moulds or off flavours in the finished product. If it gets too cold, germination is stalled and starch conversion grinds to a halt. Getting too hot is the more common problem, Devin says they have to run the AC in the malt house even when the outside temperature dips below 0 degrees. To help dissipate the heat and keep all the grain in the bed moving at the same speed it’s necessary to turn the bed (Devin uses a snow shovel) every 6 or 8 hours. 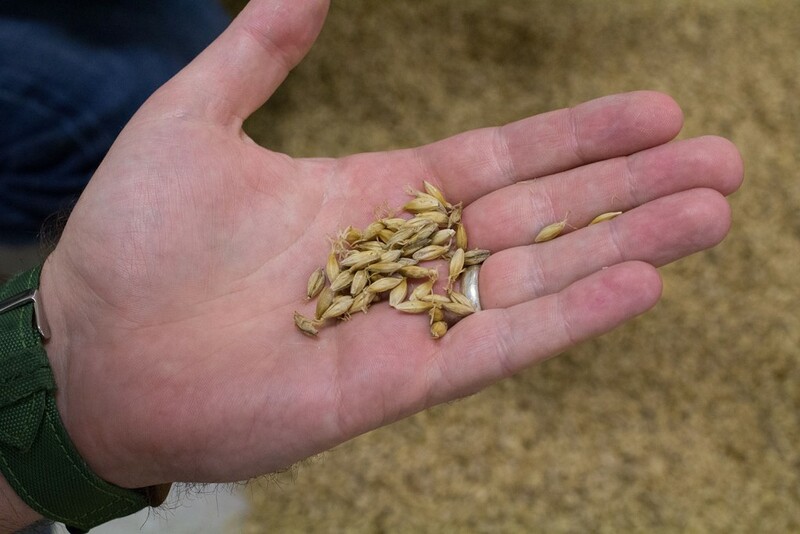 Further complicating matters, it turns out that every batch of barley has slightly different moisture content and other characteristics, meaning that every time they work with a new supply they have to dial in their malting system to optimize it for that specific barley. At the end of the day it’s a delicate balance between turning to dissipate heat, piling more on the grain bed to increase production and not turning too much and damaging the grain. When the texture of the barley changes they know that the starch modification is nearly complete and they can move on to kilning the barley, which basically just means toasting it in a giant toaster oven. Once kilning is done and the barley (now malt) is cooled, the process is done and it can be packaged and sent off to the brewers to make their magic. Because they have to dial the system in for each batch of barley, they prefer larger farms. In the Western provinces a maltster could buy directly from a grain elevator, which tends to sell very uniform and high quality malt. Unfortunately in Ontario there are no grain elevators and most barley is grown in smaller batches, normally just a few acres at a time, because it’s not a common crop here and it’s hard for a farmer to justify growing it as their primary crop. Barley growers face a lot of obstacles, especially in Ontario. Typically farmers who grow barley do so without a contract, meaning there’s no guarantee that they sell their product at the end of the year. Before Barn Owl came around, the only way to sell their crop at the end of the year was to take it to a big malt house like The Canada Malting Company. Canada malting is very strict with their quality standard, which they need to be to produce a consistent product. 20% is the average selection rate, which is not very appealing for Ontario farmers. In the prairies if they couldn’t sell to a malting company they could at least unload it to an elevator for feed and recoup some of their costs. Here, they pretty much have to dig a hole and bury it. It’s worth pointing out that Canada Malting and the other big malt houses actually do make a very good product. It’s very consistent, very predictable and for those reasons lends itself very well to producing repeatable batches of beer. There’s nothing wrong with that, but one of the things I really like about Barn Owl is they’re not just trying to repeat that model with the craft moniker on top. Instead, they’re embracing that other 80% of malt for it’s variety and the more complex flavours it imparts. This involves creating a modified standard of quality for craft malting. Because their system is so hands on and individually managed, Barn Owl can work very well with barley that isn’t up to industry standards. What we’re looking for, what we’re trying to highlight with a malt house like this are annual variations, the terroir of Ontario grains. Working with smaller, more variable batches has advantages. Variations in batches from farm to farm and year to year should produce unique qualities for each batch. 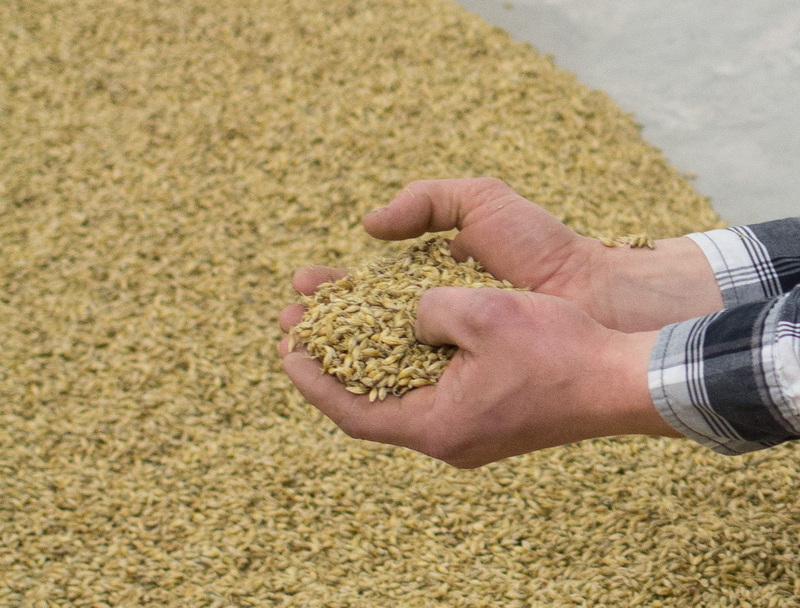 Where the grain in a bag of malt from a large malt house might have come from ten or twelve farms, every bag of Barn Owl malt will be single-origin. This allows ambitious brewers to match recipes to specific batches of grain, or more importantly select a malt with specific characteristics they are looking for. As with most other small producers, the key for Barn Owl is finding brewers who are willing to work with them to make the most of local ingredients. Many breweries have shown interest so far, with the strongest demand coming from the nearest breweries in Prince Edward county. This is a natural partnership, since these breweries are best positioned to take advantage of the marketing benefits of using local ingredients. With a couple of hop growers popping up in the county its becoming possible for brewers like Church Key, Barley Days or the MacKinnon brothers to make a beer from entirely locally-sourced ingredients. Hands on brewers are best! 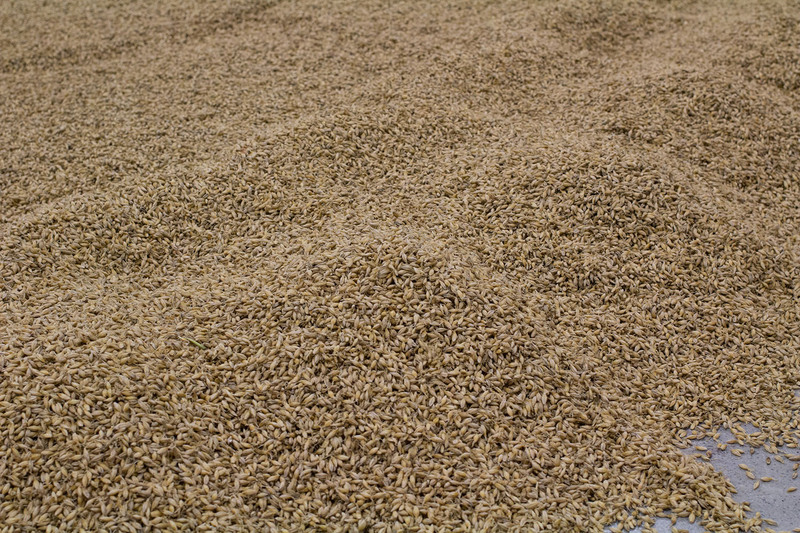 Devin is able to kiln malt to more or less any level of darkness, but the plan in the early days is to focus on a brand of “pale malt” which would be suitable for lighter beers and pale ales. They’ll make a lot of the flagship, but probably offer special runs of darker stuff on special request from brewers. He plans to eventually expand the lineup to include two or three base lines and get to the point where he can make any ind of malt a brewer demands. We try to avoid identifying with and comparing to base malt. Base malt is bland and it’s just about getting the gravity up. Whereas our malt, we’d like to be able to have extraction levels, conversion times and enzyme levels that are comparable to base malt but really it’s a stand alone barley that you could make really nice ales with a single one of our barleys. There would be enough flavor in it, enough profile and character and colour. In what has become a trend for craft producers, Devin values the homebrew market. This is partly because from the very beginning home brewers were among his biggest supporters and were eager to try out his stuff. He views home brewers as an outlet to do things a little more creatively. That could help them develop new kilning routines to come up with his version of say, a crystal or maybe a smoked malt. Barn Owl have already found their way into homebrew shops and they say they intend to set aside a certain percentage of their capacity specifically for the homebrew community. I recently got a bag of their pale malt myself and I was very impressed. Tasting it raw I could immediately tell this stuff has a lot more character than your typical bag of 2-row. I used it to make a hoppy pale ale that came in around 4.8% alcohol. In brewing it behaved exactly as other malts I’ve used, but the beer had a very satisfying body without any adjuncts. Interesting article. Thanks for the whole series.